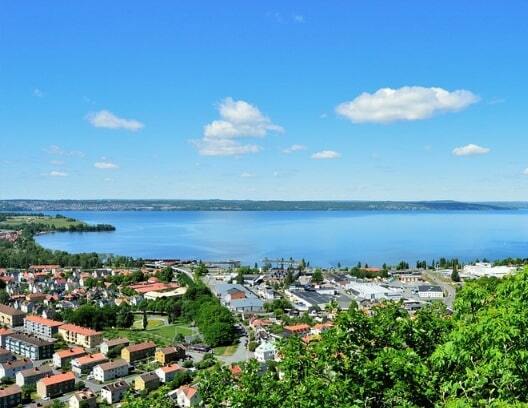 Sweden is a beautiful country in the Schengen area and one that has a lot to offer its visitors. Beautiful cities, like Stockholm, has a lively nightlife and plenty of restaurants to enjoy fun evenings. It’s the countryside that has many more attractions and you’ll find national parks and nature reserves where you can go in search of some of the most stunning scenery in this part of the world – waterfalls, lakes, forests, and mountains. Sweden has it all! 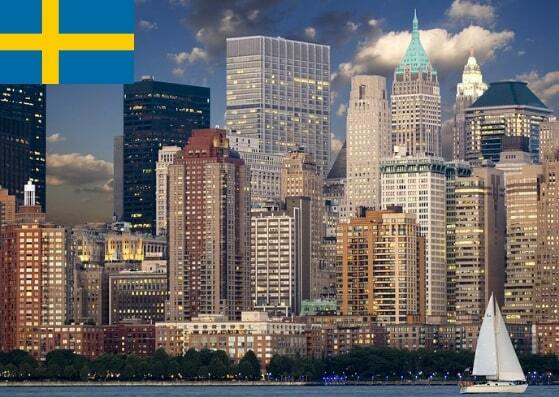 In this article learn more about how to apply for Sweden visa at the Swedish consulate in NYC, New York, Sweden visa appointment booking, Processing time at the Sweden visa application center, flight itinerary for Sweden visa, hotel bookings for Sweden visa, Schengen travel insurance for Sweden visa application, and Sweden Visa Application Process at the NYC Consulate. Last year, there were a total of 248,347 Sweden Schengen visa applications received. 9.90% of these were denied. The consulate in New York does not deal with visa applications. They are received by VFS Global and reviewed by the embassy in Washington DC. The embassy received 3,225 applications and rejected 91 of them. 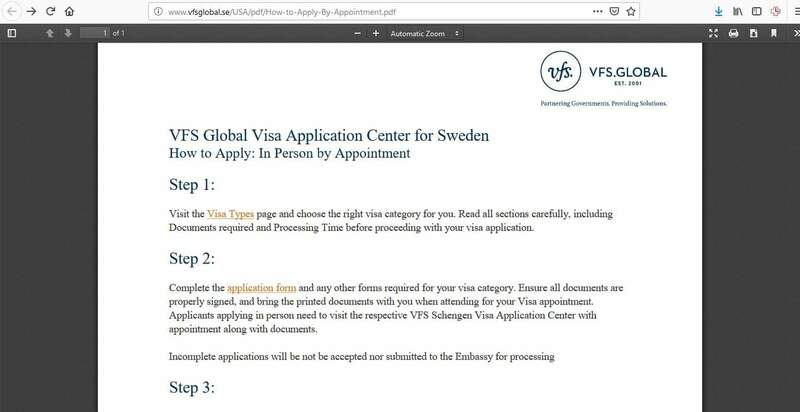 If you are a US citizen by birth, you do NOT need a visa to go to Sweden. If you are a non-US citizen and you are currently living in the United States on a permanent basis, you DO need to apply for a Sweden visa. However, you need to prove your legal residence status if you wish to apply from the US. You have to make sure you apply at the right Swedish embassy and consulate. The Consulate General of Sweden in New York does NOT handle visa applications, so if you wish to apply, you need to contact the Embassy of Sweden in Washington. 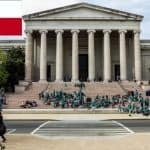 If you reside in Washington DC, Maryland, and Virginia, you may apply through the visa office in Washington. Please note, the embassy in Washington DC has outsourced its dealings with visa applications to VFS Global, so you will submit your application to their office in Washington. However, it will be the embassy that makes the final decision about your visa application. 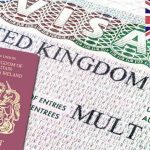 Visa applications are processed within 15 days. You can submit your application 90 days ahead of your intended departure date. Applications that are older than 90 days will NOT be accepted. Rush processing is not available, so don’t leave it too late. For National visas, you can complete your application on the Swedish Migration Agency’s website. You’ll then be able to book a suitable day and time for your appointment. Make sure you print your appointment letter as you will need this when you go for your appointment at VFS Global in New York. Step 3 is to prepare your documents for your visa application. 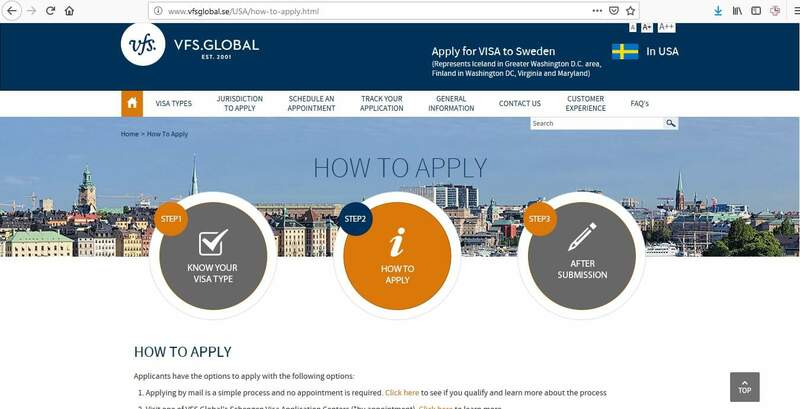 If you submit your application with anything missing, VFS Global will ask you whether you wish to proceed. 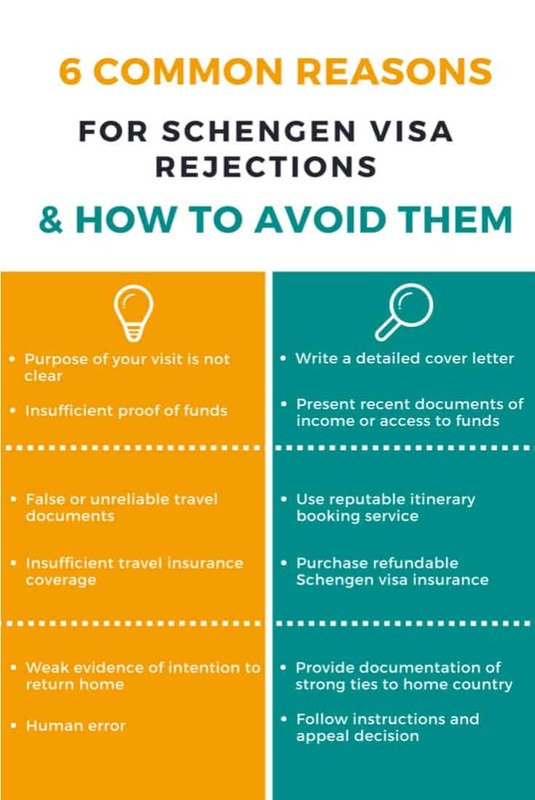 It’s not a good idea to do so if you have not provided everything because the embassy will reject your application or, at the very least, it will cause delays. Check VFS Global’s website for the documents required for each type of Schengen visa. 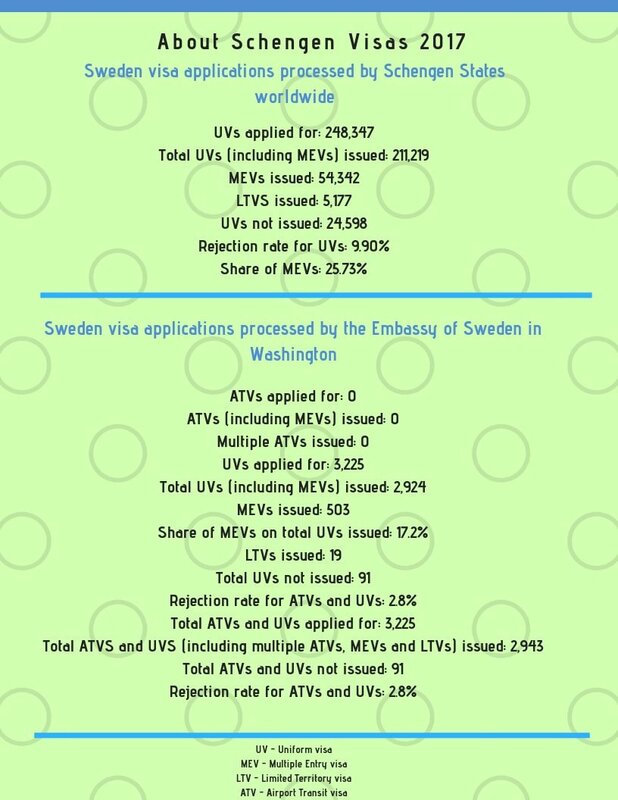 For National visas, go to the Swedish Migration Agency’s website for information about the requirements. You must also provide originals as well as photocopies, so remember to this part too! Work contract/enrollment letter/proof of property ownership/letter of invitation etc. The staff will examine your application and supporting documents. If they need more information, they may ask you additional questions. If they do this, simply answer politely, calmly and truthfully. What is your job in the US? Are you meeting anyone in Sweden or the Schengen area? Has your employer approved time off for this trip? 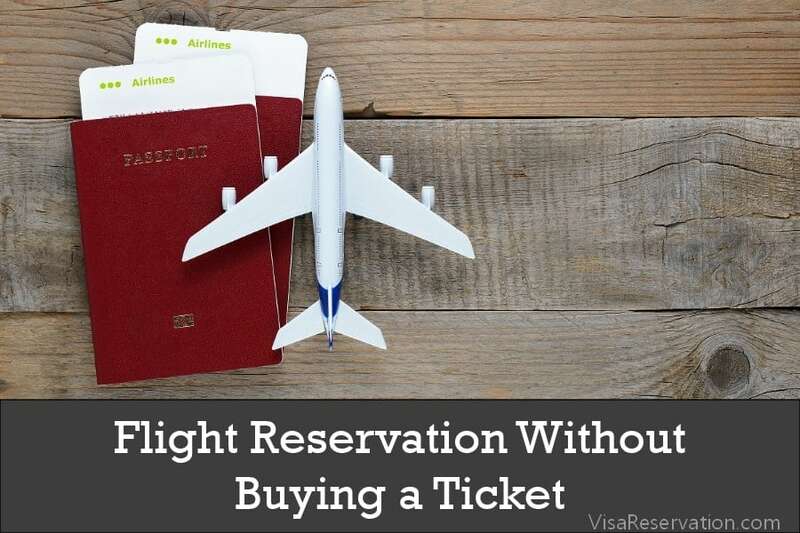 You will also pay the fee for your visa application. This is non-refundable even if your application is rejected. There is also an additional service fee of $33 payable to VFS Global. Plus, if you wish to have your passport mailed to you, VFS Global charge $30 for this service. You can pay by credit or debit card only. The Embassy accepts money orders or certified bank checks. These should be payable to the Embassy of Sweden. 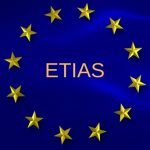 If you have applied for a Schengen visa before, your biometric data can be used again as long as it is within a 5 year period. If this does not apply to you, a scan of your fingerprints and a photograph will be taken. If a decision has been reached, you can collect your passport or have it returned to you by mail. Telephone: 347-329-2738 – Call center is open Monday to Friday, 8.00 am to 6.00 pm. Once you have your visa, the next step will be getting ready for your exciting trip to Sweden!